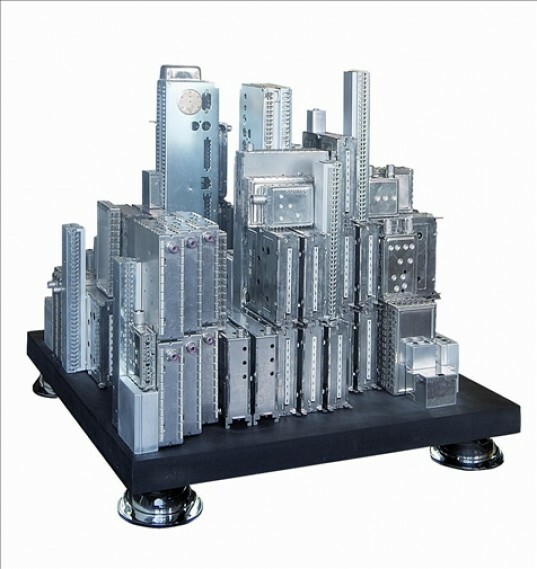 We often refer to popular city skylines as iconic. Why? Because they don't change often and they're always there, shaping our horizons and watching over us as we scurry about. When skylines suddenly change, such as after the 9/11 attacks on New York City, we feel a sense of loss. 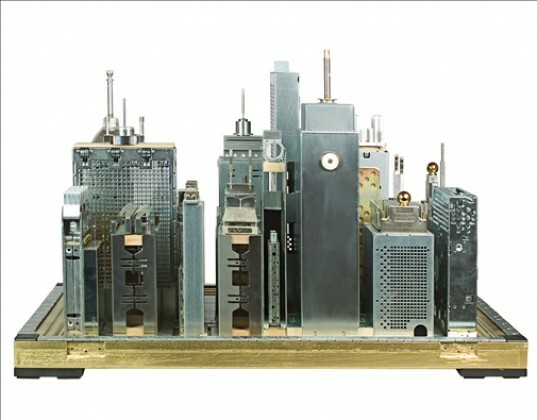 <a href="http://www.francorecchia.it" target="_blank">Italian artist Franco Recchia</a> likes to recreate the skylines of major cities in miniature form, but instead of using <a href="https://inhabitat.com/nyc-landmarks-recreated-with-millions-of-plant-parts-at-the-new-york-botanical-garden/">plants</a> or <a href="https://inhabitat.com/artist-peter-root-creates-a-miniature-metropolis-by-stacking-100000-staples/">staples</a> (as we've seen before), he uses motherboards, CPUs, and memory chips from discarded personal computers. 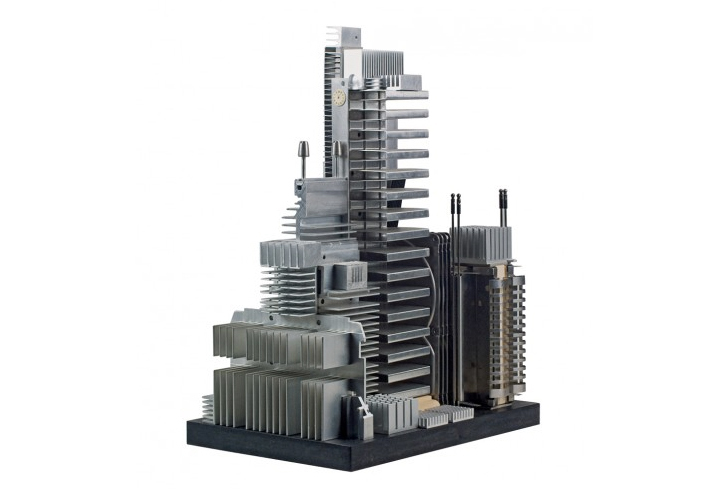 Getting a first hand look at the guts of your computer usually means something's gone horribly wrong, but when Recchia cracks open an old computer, all he sees is potential beauty. A life long learner, no subject is off limits to Recchia, who at one point or another has studied math, science, art, and international business. When not dissecting old computers, he works as Commercial Director of TT Tecnosistemi SPA Prato. Rather than the wild abandon that some artists employ when creating new works, Recchia uses a controlled and calculating method. 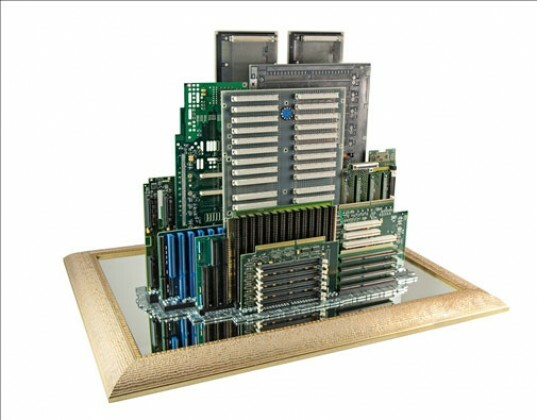 Driven by a desire to always "see what's inside," he extracts elements of <a href="https://inhabitat.com/tag/computer-parts/">computer hardware</a> he knows will blend well into the design he imagines. 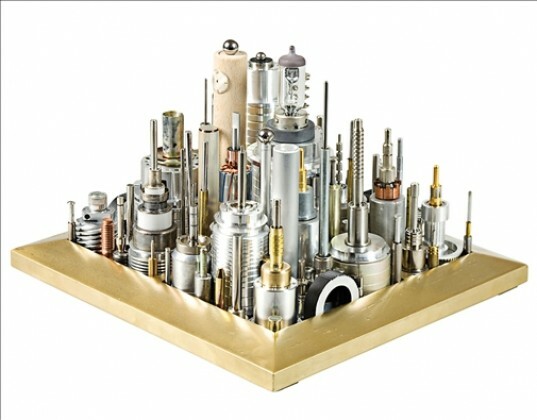 By instinctively following a compositive and rigorous logic until each piece is laid in its correct place, he breathes new life into the component parts. 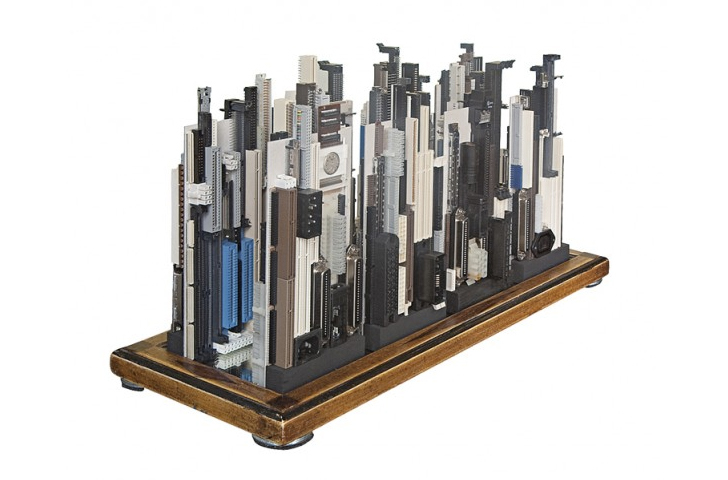 From Central Park to Pittsburgh, Recchia's recycled skylines are wonderfully distinctive pieces full of detail, outlined by crisp, clean lines and colors. According to the press release from <a href="http://www.agora-gallery.com/artistpage/franco_recchia.aspx" target="_blank">a recent installation</a>, "Recchia seeks in his sculptures to bring dignity to the process of modern creation, to highlight how every product produced by human hands contains talent, imagination and great beauty, and ultimately stems from the vast reservoir of human experience of which we are all a part. We often refer to popular city skylines as iconic. Why? Because they don't change often and they're always there, shaping our horizons and watching over us as we scurry about. When skylines suddenly change, such as after the 9/11 attacks on New York City, we feel a sense of loss. 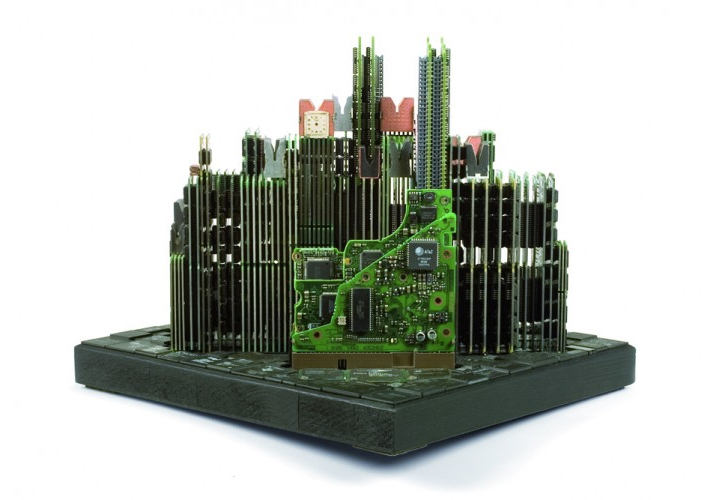 Italian artist Franco Recchia likes to recreate the skylines of major cities in miniature form, but instead of using plants or staples (as we've seen before), he uses motherboards, CPUs, and memory chips from discarded personal computers.